This is a sponsored post on behalf of Milk-Bone. I received products in exchange for my honest opinion. In the morning, as we eat breakfast, we normally have our vitamins. We try to improve our health by getting the daily vitamins that we need, but have you ever thought about your dog’s health? I personally never thought about giving my dogs a vitamins until now. Milk Bone dog treats has developed Good Morning Treats, daily vitamins for your dog. 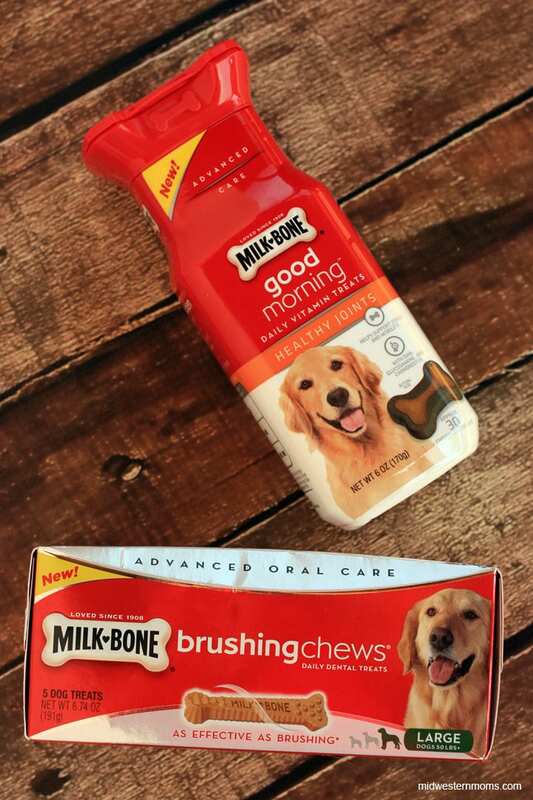 Our dogs gave Milk-Bone’s Good Morning Vitamin Treats a try. They loved them! I also love giving them the vitamin treats because they are healthy for them. The treats are easy to give since the are chewy tablets. The Joint Health is perfect for our dogs since one is 8 years old and the other is 11 years old. Our oldest dog even has had a knee replacement, so these are great for her. Here you can see how our youngest is patiently waiting for her vitamin while I take her picture. Another great product the dogs received was the Brushing Chews. Our dogs have horrible breath and the chews really helped them out. Their breath won’t knock you over any more. They are much more pleasant to be around. I have give different brands to the dogs before and they would just gobble them up like treats. Unlike other chews, these Brushing Chews actually made them work at eating them which allowed for a better cleaning. 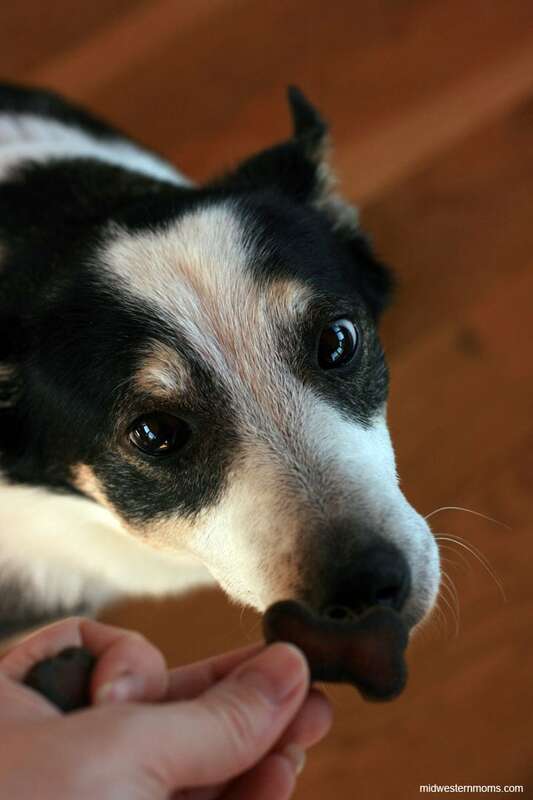 What do you think about giving your dog Milk-Bone Good Morning Vitamin Treats?? We have always given our dogs the milk bone biscuits and I will have to check out the Milk Bone Good Morning. Thank you for the information.